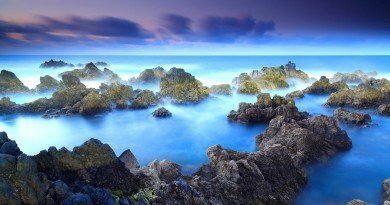 An activ volcano and a holiday dream island, Santorini offers drama in more than one way. Few places looks like it does on a postcards, but Santorini does, even surpassing the photographs you‘ve seen.In the distance the island looks like a black blob in the ocean with something white on top. 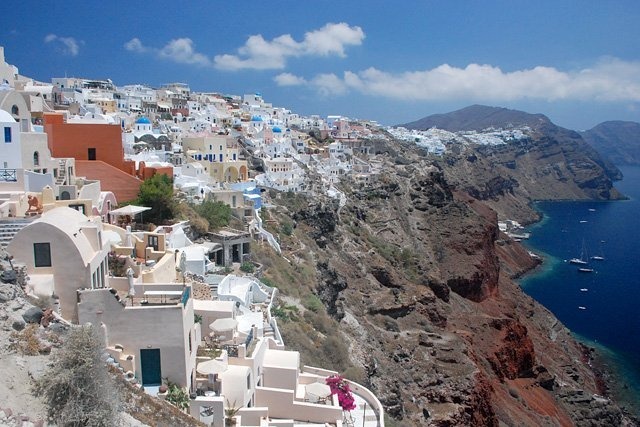 Like many Greek islands, Santorini is volcanic, barren and rocky, but still has a special charm. 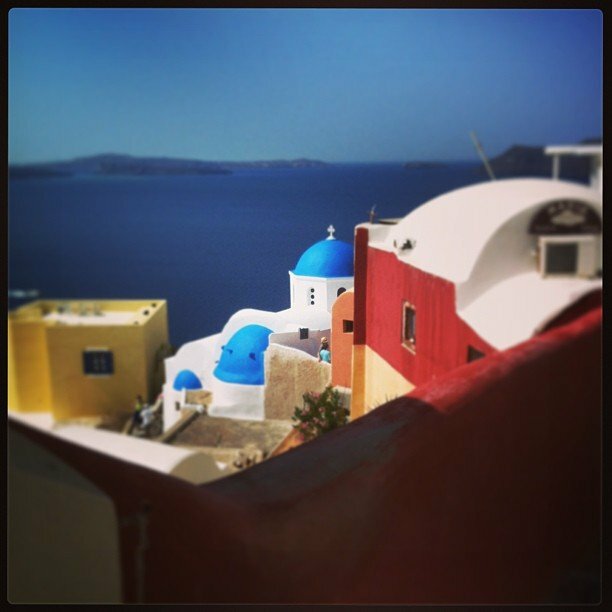 Most people who travel to Santorini only visit the villages of Fira and Oia. It is not surprising since these are the two most beautiful villages, and of course the two most exploited villages. And that‘s where you‘ll find the classic pictures and postcards from the island. 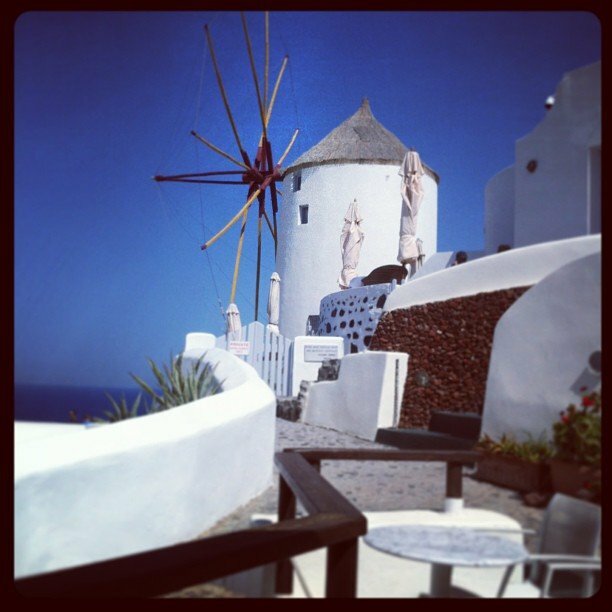 Oia (pronounced ee’a) is Santorini. This village is amazing to visit. A gigantic maze of stairways, alleyways and breathtaking views that are mixed with tourists, luxury hotels and restaurants magical.One can go for hours and discover the city and it’s awful easy to get lost. 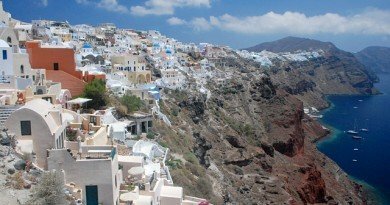 Oia is a very popular destination for weddings and honeymoons, many Asians have chosen to come to Santorini to get married and celebrate their honeymoon here. A common view during the summer, is dressed-up couples who takes pictures of themselves here and there are even those who travel here only to take their wedding photos. Kamari is, after Fira the largest tourist area on Santorini. The beach stretches from the mountain that separates Perissa and Kamari , and almost all the way to the airport. The beach has a long promenade with tourist shops, hotel facilities, bars and countless restaurants. It’s a little special to go to the beach on Santorini because the beaches are black. Most famous beaches are Perissa and Perivolos which together also form the longest beach on the island. 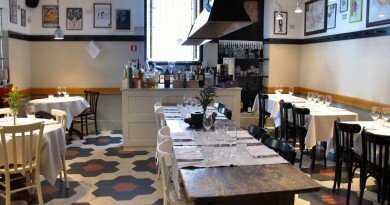 Here are taverns, bars, restaurants and hotels. 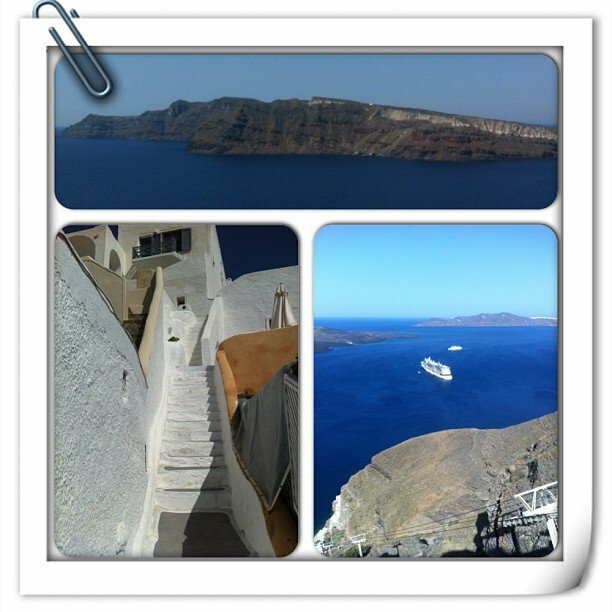 Santorini has direct flights from Athens and some chartered tour operators in Europe. It is considered to be one of the most expensive islands in Greece.